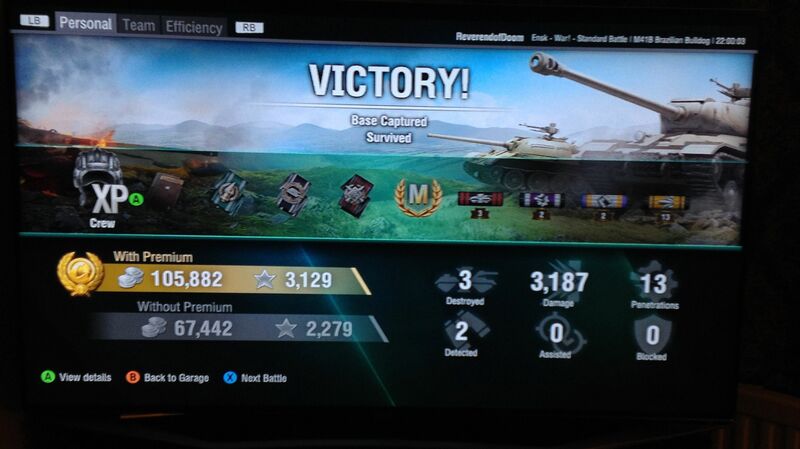 I did this in a tier 10 game killing 3 tier 10's! i wasn't going to get it,but a couple of buddy's of mine said its great, so I succumbed, played last night,have already completed the op for the tank,all in all I'm actually enjoying it,still a bit steep on the price IMO, but hay you only live once, and you can't take your cash with you lol.PS I've had better games than this and a lot worse, I mean it a light . 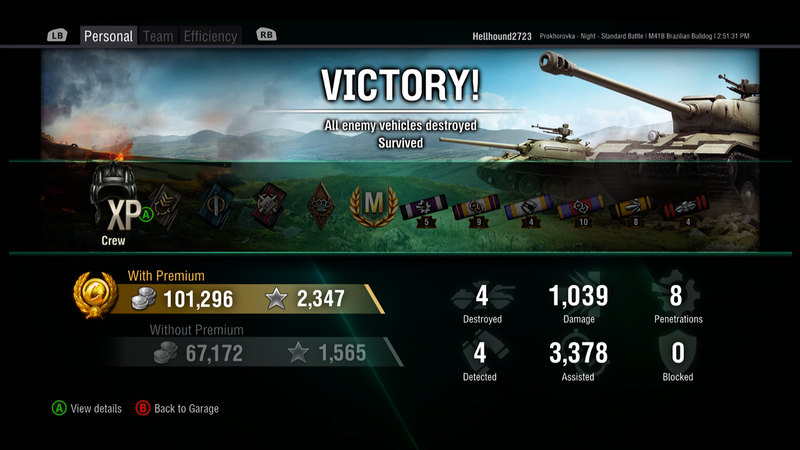 My best was 4.2k dmg on Prokhorovka yesterday. Unfortunately i dont do any screenshot.. I try to do a better in the following days. For God gave us not a spirit of cowardice, but that of power and of love and of soundness of mind. Gotta love the ammo reliability. Good damage for one shot and then what should end a tank does 70dmg. Looks like my kinda tank,sign me up! 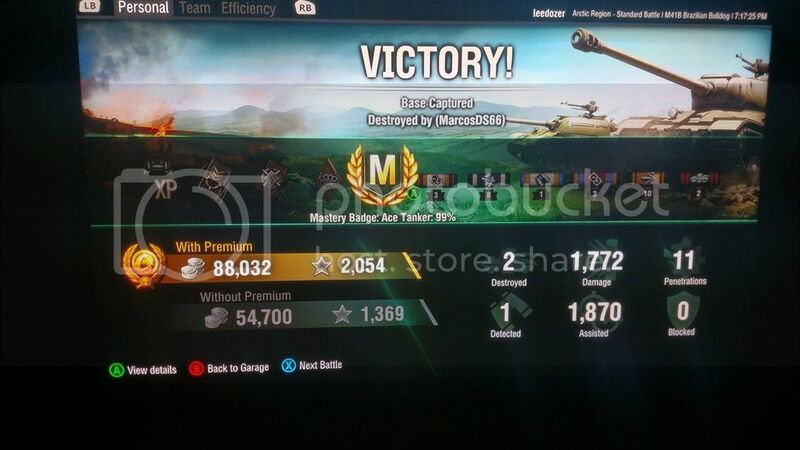 I didnt play my Brazil until the night after it was released.. and I got my 1st ACE in it that 1st game. lol I do not think it was a great game by any means.. but hey.. and Ace is an Ace right? "Freedom is too precious to be held by the LEFT hand"
85th game and i got finally 3 mark.